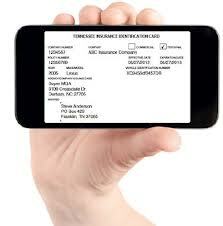 Texas passed legislation allowing drivers to show proof of liability insurance on their cell phone. The state’s Financial Responsibility Law requires that drivers carry minimum liability coverage on their vehicle. Liability insurance pays to repair the other driver’s car when that driver is not at fault. It also pays medical expenses for others involved in an accident. Texas law, under Transportation Code 601.072, currently requires minimum coverage of $30,000 per injured person, up to a total of $60,000 for everyone injured in an accident, and $25,000 for property damage. This basic coverage is called 30/60/25 coverage. The new legislation amends Transportation Code Section 601.053 to allow Standard Proof of Motor Vehicle Liability Insurance Form to be an image displayed on a wireless communication device. The bill also ensures the privacy of the wireless device by adding that the display of an image that includes financial responsibility information on a wireless communication device does not constitute effective consent for a law enforcement officer, or any other person, to access the contents of the wireless communication device except to view the financial responsibility information. There are 6 other states that allow insurance verification with a cellphone: Alabama, Arizona, California, Idaho, Louisiana, and Minnesota. Electronic proof of coverage is one of the hottest insurance-related legislative trends for 2013, according to the Property Casualty Insurers Association of America (PCI). Besides Texas, there are another 21 states considering adding this capability.